Healthcare and hospitals are ever green opportunities for investment professionals as they are considered to be risk free, inflation proof, in demand, moderately profitable, stable with a steady CAGR. All good things that an investor is looking for! However, despite all the intense due diligence and professionalism exhibited by Investment professionals, my experience has been that there are some key areas that require more focus and need to be taken more seriously. Not that these are not discussed but I believe that they require far more consideration and weightage while making decisions. The reason I make this observation is that they have the ability to seriously impact value creation that investors are aiming at. A hospital is not a “hotel” providing some clinical services. The core business is providing healthcare and therefore the clinical offerings need to be assessed in detail. These will actually be revenue drivers irrespective of number of beds or class of facility. Creating capacity is of no use in case occupancy and revenue per bed per day is not up to the mark. These will be possible only if the Clinical programs are great! Evaluating quality of Clinical programs is not an easy task- especially for “Non -Medical” persons. Even most doctors will not be able to do this effectively. A trained professional can make a fairly good evaluation by just a walk through the hospital, examining OT lists, casual conversations with clinicians and managers etc. 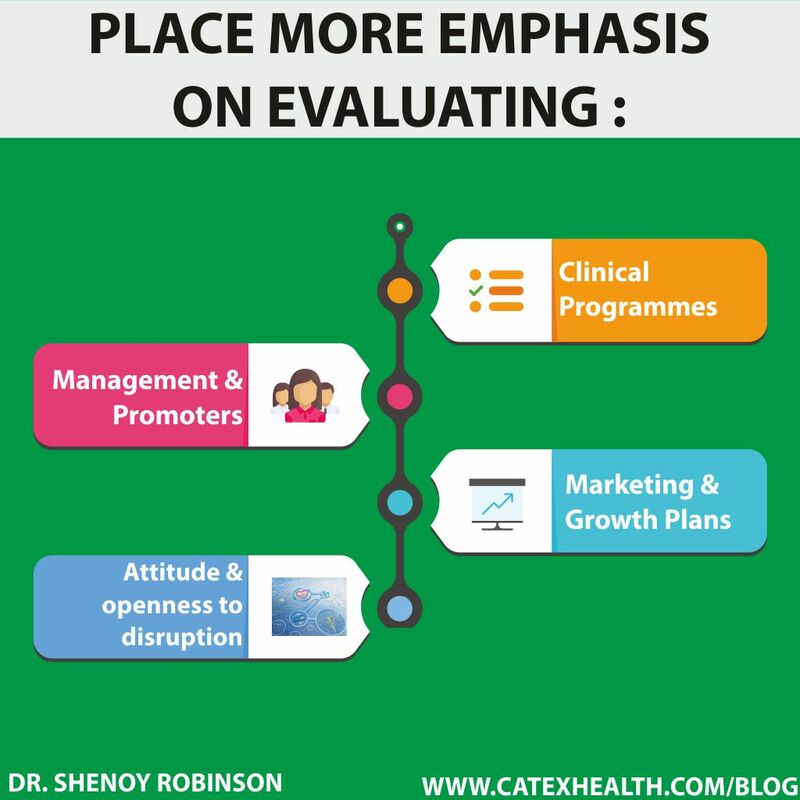 The end result is to have a fairly clear idea on the quality and depth of clinical offerings! 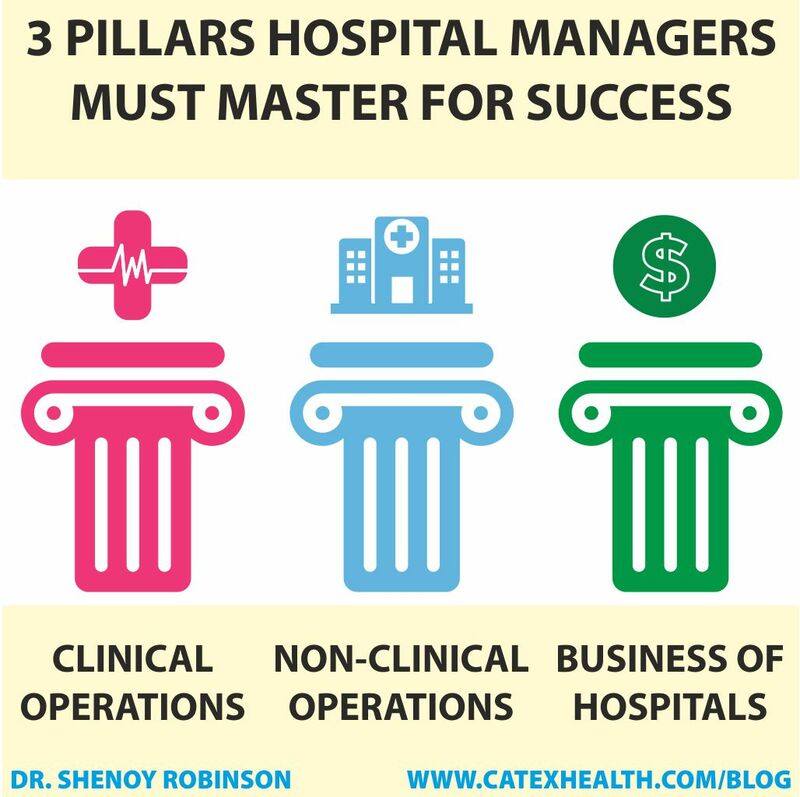 They need to be evaluated on their understanding and competence on what I have personally termed as “Three pillars” for hospital management- Clinical operations, Non-Clinical operations and the Business of hospitals. In my experience, most senior management is adept on one or two of these pillars but it is rare to find senior executives and CEOs who are good across all three. This is critical for future growth and leadership! It is very important to understand how the business is being driven currently and plans for future growth. These are not to be confused by capacity addition! This is about how the beds are going to be filled- clinical offerings, case mix, revenue channels and plans on their growth. This is an area that is the weakest and the proverbial “Achilles heel” in most investment theses! Healthcare delivery is poised for major disruptions driven by change in disease demographics, new requirements of chronic and life style related disorders and a more demanding environment. Healthcare deliverers- Doctors and Hospitals that are not open to and ready to adapt are going to be in serious trouble in the near future. It is time to wake up and smell the coffee! 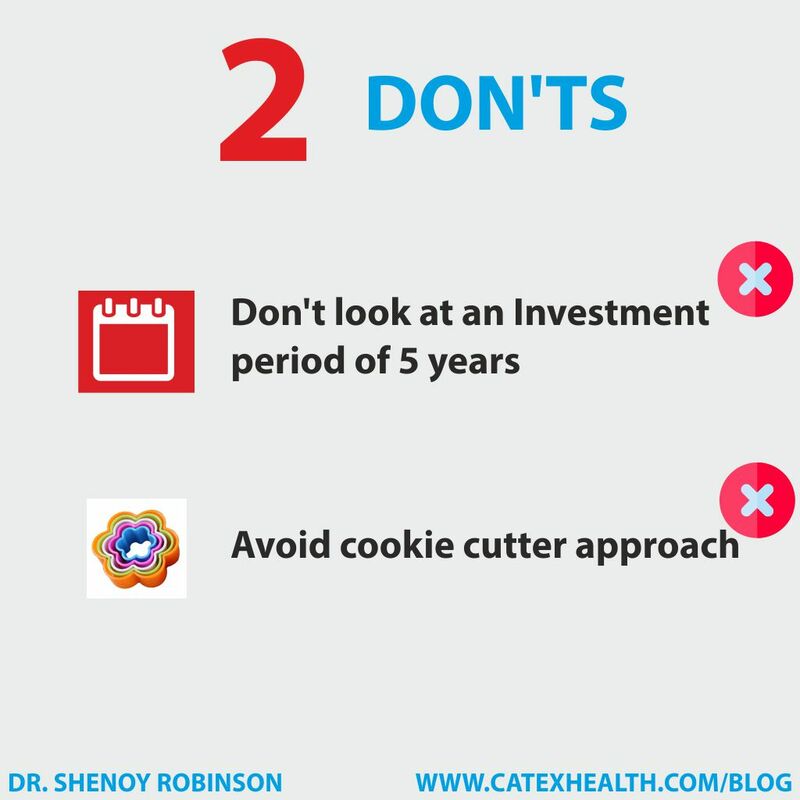 Don’t look at an Investment period of 5 years. It will not give the ROCE that most investors are looking for. Stay invested for at least 7 to 9 years. Each geography and hospital is different. A business strategy that works in one geography will not necessarily work in another. 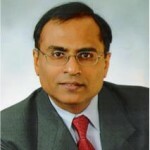 For example, in India the nature of hospital business in Mumbai is vastly different from Chennai or Kolkata. The western business models especially do not work in emerging economies as there is a fundamental difference- the payer. The payer in USA is different from the payer in emerging markets! To conclude hospitals and healthcare business models are getting disrupted. What worked for investors 5 years ago will not work today and definitely not in the future. A more granular due diligence focusing on some of the things that I have pointed out will be critical for success.